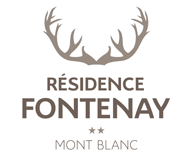 Facing the Mont-Blanc range, Residence Le Fontenay is a cool and peaceful hotel. Close to the resort of Plaine-Joux, this charming hotel welcomes you all year round. Every pretext is good for a visit in this exceptional setting: skiing, hiking, cycling, nature holidays. From the bedroom to the four-room apartment, overlooking the valley, alone or with your family, take the time to enjoy the view of Mont-Joly from our south-facing terrace. Fontenay is the essential meeting point for sports enthusiasts. Its restaurant and beer bar are partners in festive evenings and major events. You will find a warm and family atmosphere, inspired by the entire Fontenay team.